This mala is handmade using the gemstones Turquoise and Jasper. 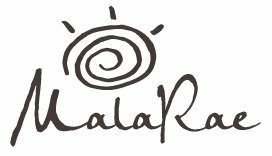 Malas Canada - MalaRae is a unique mala company based in the Ottawa region, is your best choice. The first time I saw these beautiful handmade designs, I fell in love. The first time I ordered one of my very own malas, I knew it would most definitely not be the last. Kyla’s warm and gentle spirit emanates in the designs but at the same time, the pieces I’ve ordered feel very personal. She was able to help me narrow down exactly what I wanted just by our conversation. I was beyond happy when I received my first piece. I am constantly complimented on its uniqueness and I love recommending everyone I see to Kyla. It wouldn’t be possible to come to her and not feel excited and happy afterwards. Every piece is special and beautiful in its own way. I love MalaRae and I know I will be a very happy/devoted customer for years to come!